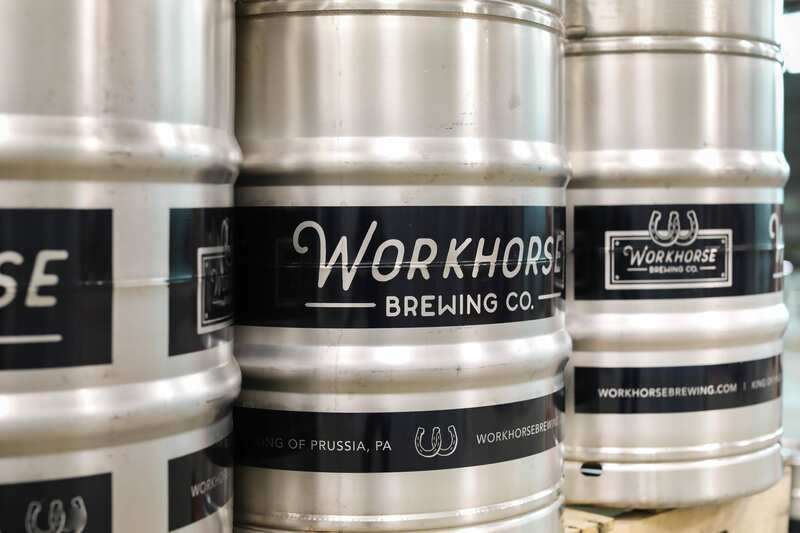 With a dream and a vision, entrepreneur Dan Hershberg and his team came to Finch Brands to help bring their new brewery to life. 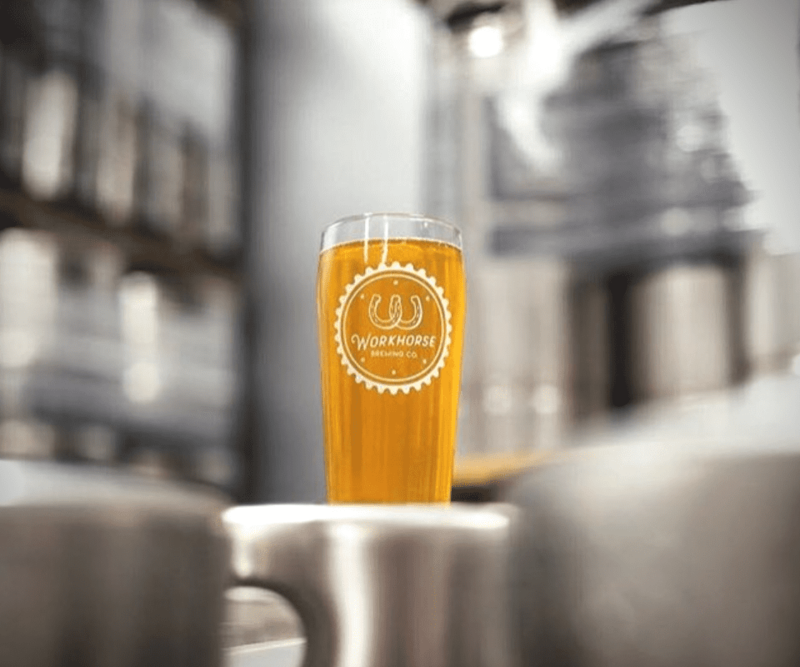 Having studied the craft brewing landscape and after interviewing every brewer they could, the Workhorse team was determined to get it right from day one. 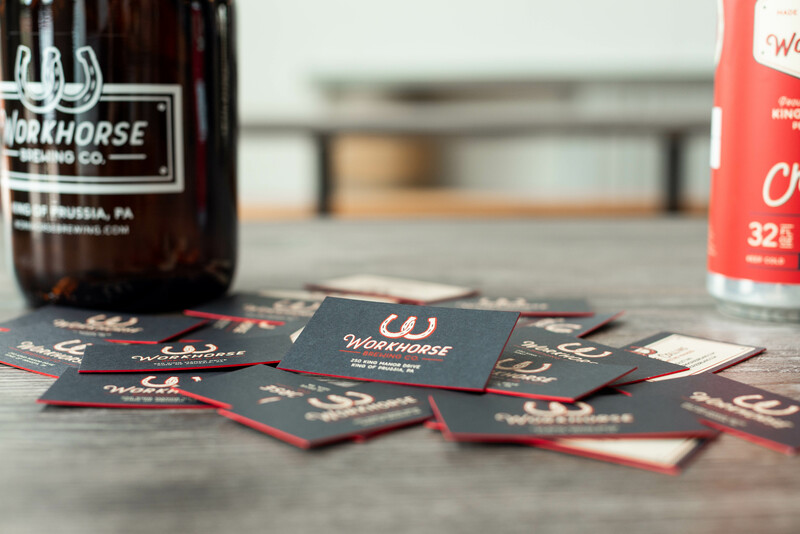 Beyond making great tasting beer, this meant building a brand that reflected the team’s spirit and dedication to their craft and customer. 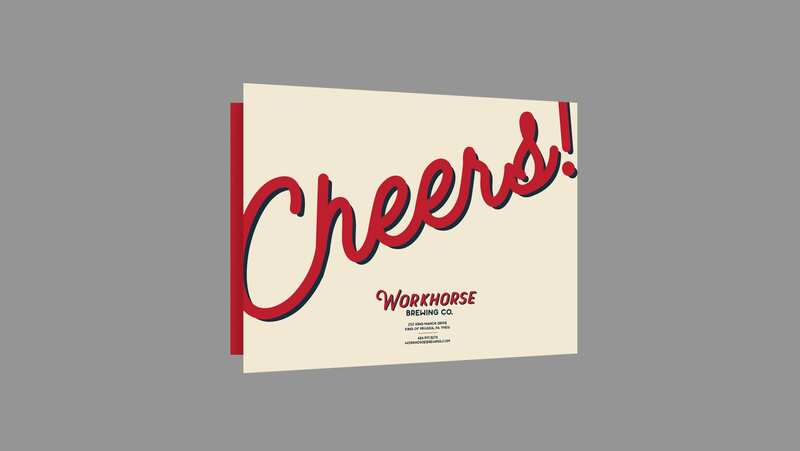 Having already settled on a name, we crafted the brand around an industrial, hard working ethos that the term workhorse embodies. 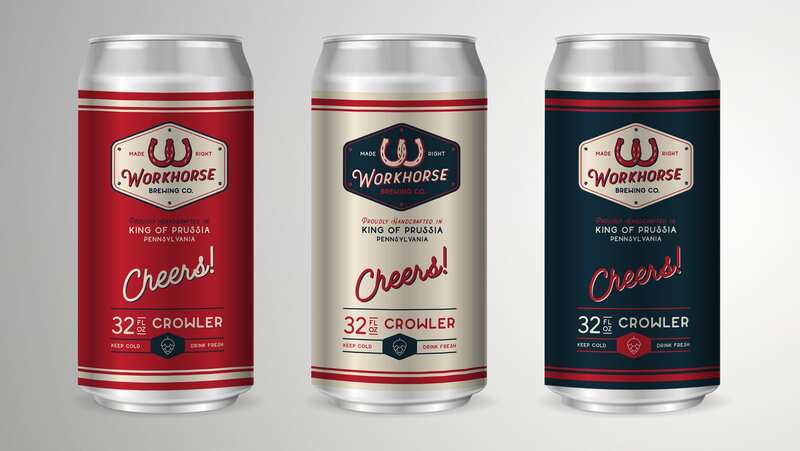 In a market full of gimmicks and hooks, we sought to take the spirit of hard work and authenticity to design a brand that connected with both the traditional male target of the craft beer industry, but also with women and non-craft beer drinkers alike. 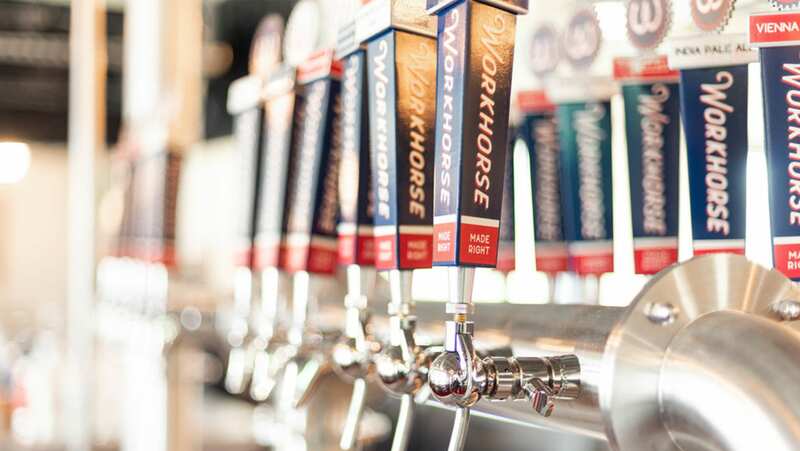 Workhorse clocked in during August of 2018 and hit the ground running. The artifacts below and the strong personality and values set in this brand foundation help drive the vision of the organization forward. 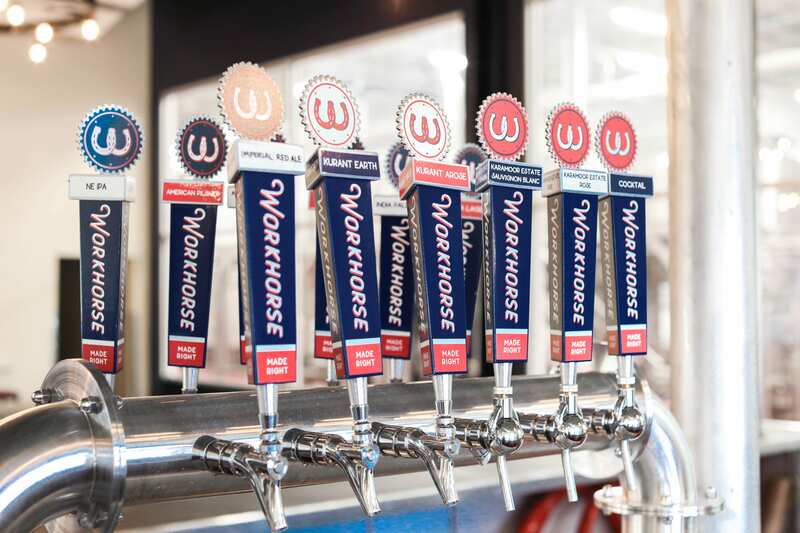 Embodying hard work, craftsmanship and a blue-collar spirit, this logo is a unique icon by interlocking horseshoes to create a strong “W”. 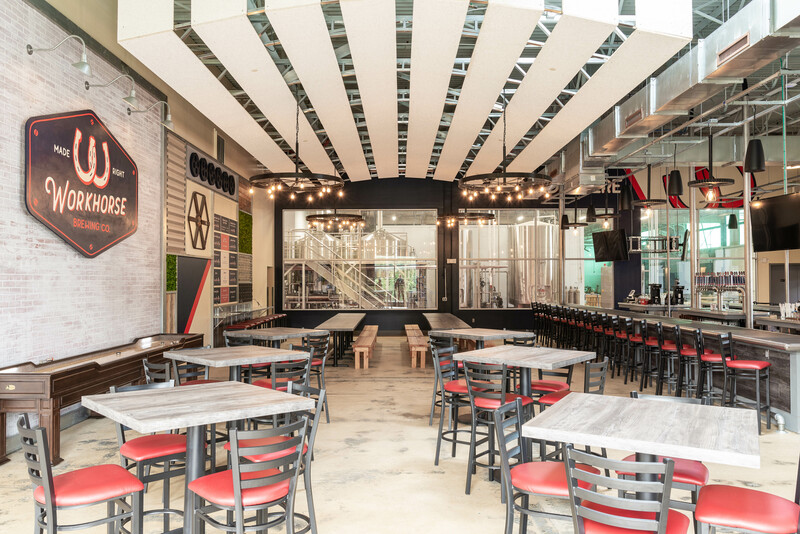 Finch Brands consulted on and developed key interior design elements for the brewery and taproom with the intention of creating a physical space with the right brand personality and appeal. 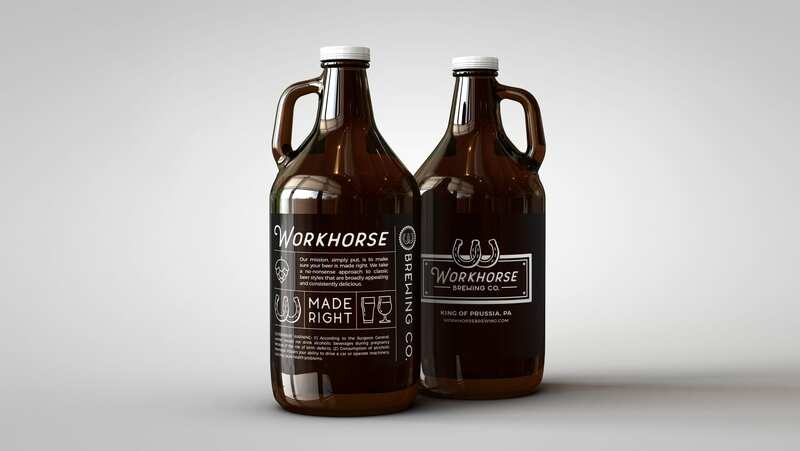 Packaging design balances brand storytelling and personality with functional information. 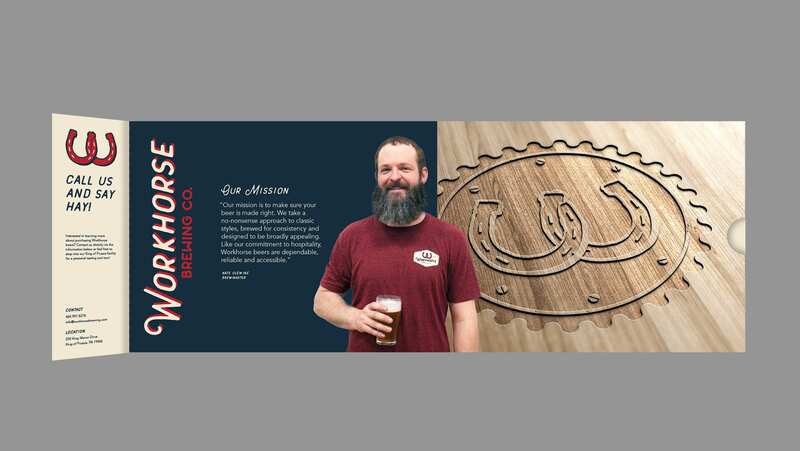 Tap Handle design focuses on delivering strong brand recognition and creating a stand-out visual among competitors. 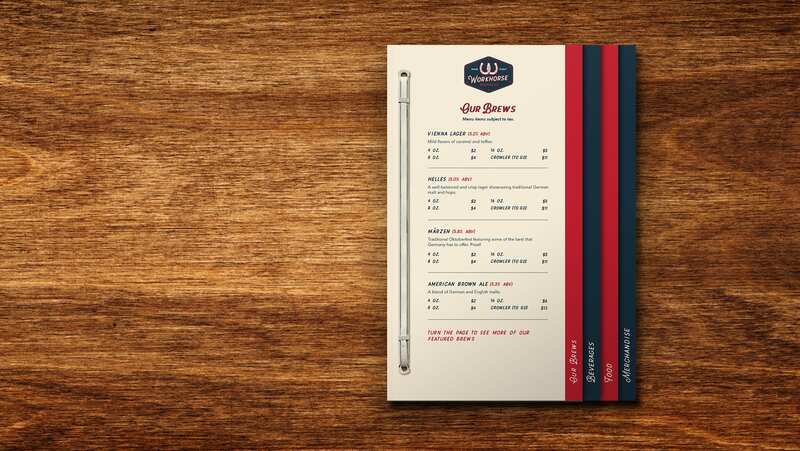 Menu designed to deliver both functional and branded content to create an immersive but simple experience. 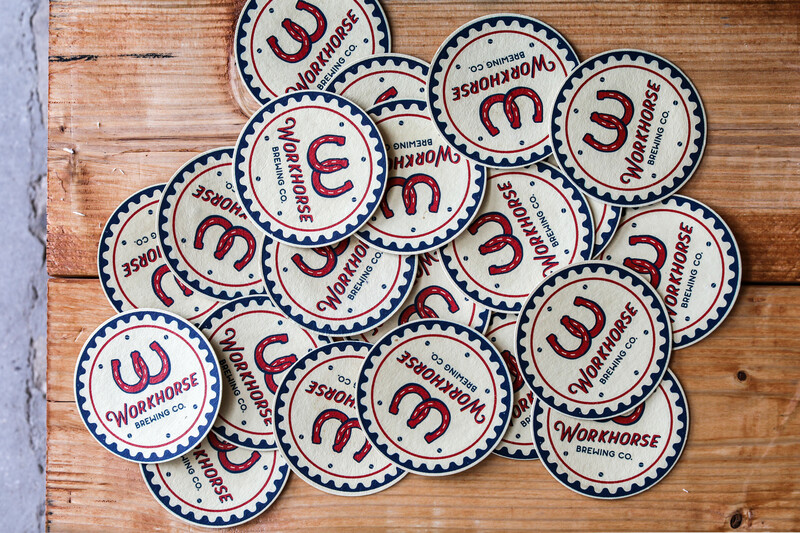 These coasters help deliver brand recognition table side. 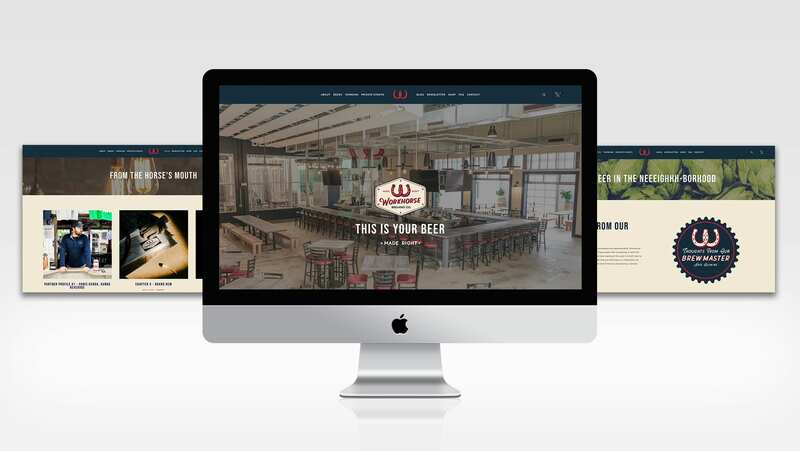 Web design focused on brand storytelling and large sweeping imagery to invite visitors in and drive them to action. 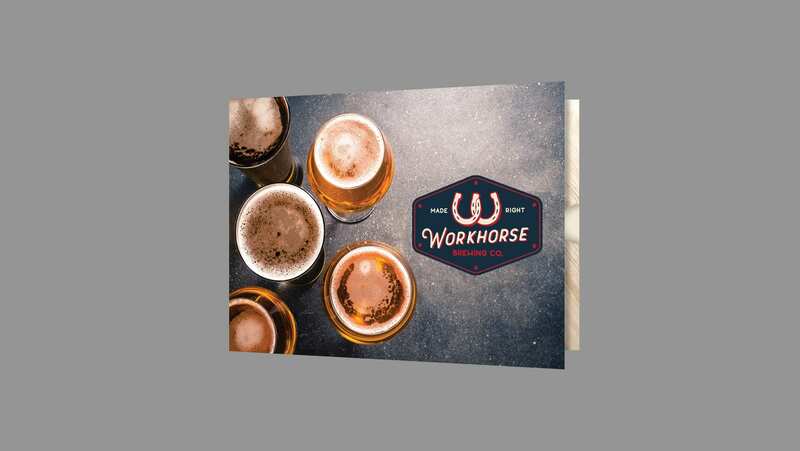 As the primary externally facing piece, we created informative and inspirational sales collateral to drive distribution through bars and restaurants. 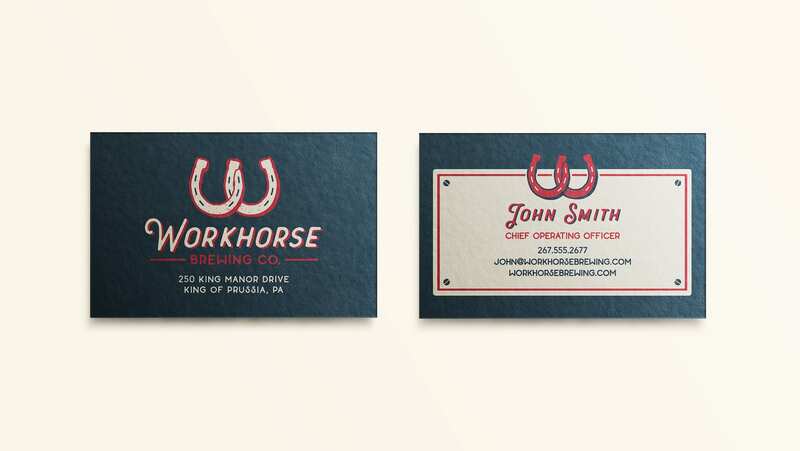 Business card design was intended to build a strong presence in a sea of sameness. With bold color choices, heavy cardstock, and painted edges these cards ensure the team puts their best foot forward in every interaction. 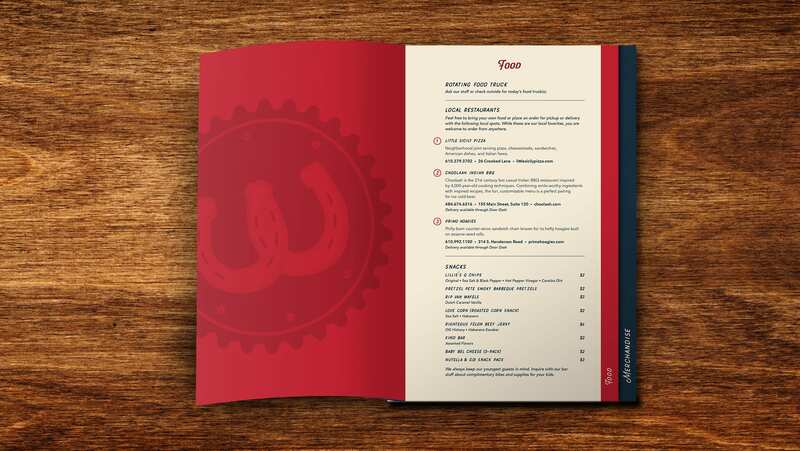 As a new company, this manual helps provide consistency and clarity around brand applications for existing and future uses. 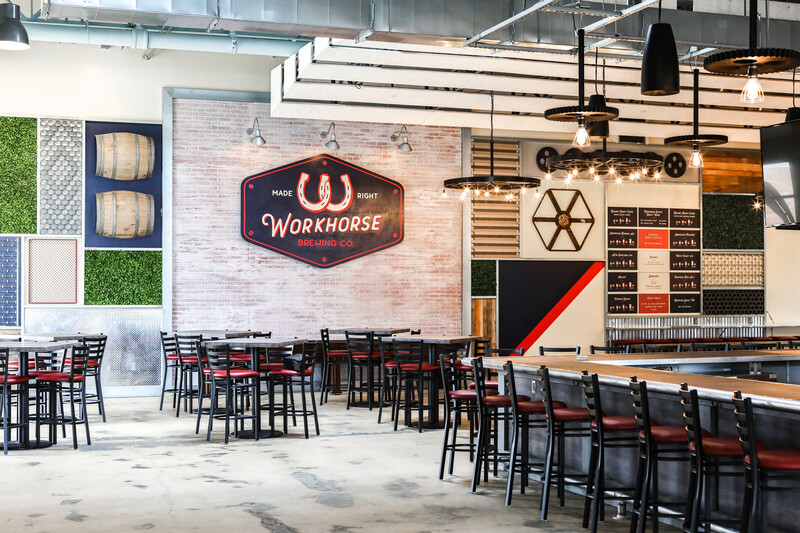 Dan Hershberg, Co-Founder and CEO of Workhorse Brewing Company, joins us on the podcast this week to share his insights on developing a brewing company.